William Bragg and his son Lawrence Bragg—jointly awarded the prize in physics in 1915 for their ‘services in the analysis of crystal structure by means of X-rays’. Sir William Bragg (1862–1942) was born at Westward, Cumberland, and studied mathematics at Trinity College. In 1885, when he was just 23, he was elected to the new Chair of Mathematics and Experimental Physics at the University of Adelaide. In 1909 he returned to England with his wife and Adelaide-born family to take up the position of Cavendish Professor of Physics at Leeds. Sir Lawrence Bragg (1890–1971) was born in Adelaide and educated at the Collegiate School of St Peter. He topped his final year and won a scholarship to the University of Adelaide, which he entered at the age of 15. In 1908 he took first-class honours in mathematics. When the family returned to Britain in 1909 he took up the study of physics at Trinity College, Cambridge. Together, father and son initiated the field of X-ray crystallography. Their work on crystal structure opened a new branch of physics, with particular relevance for biology. Their experiments made it possible for biologists to determine the three-dimensional structure of proteins and to determine exactly how they worked at an atomic level. This knowledge led to the design of drugs tailored to the architecture of the protein at which they are directed. Sir Howard Walter Florey (1898–1968)—awarded the prize in physiology or medicine in 1945 ‘for the discovery of penicillin and its curative effect in various infectious diseases’. Howard Florey was born in Adelaide and studied at the Collegiate School of St Peter and the University of Adelaide. After graduating in 1921, he went to Oxford on a Rhodes scholarship to study physiology. After transferring to Cambridge, he earned his PhD in 1927 and MA in 1928. From 1936 to 1962 he was Professor of Pathology at the Sir William Dunn School of Pathology at Oxford. In 1938, Florey began building on earlier work by British scientist Alexander Fleming on the antibacterial action of a mould, Penicillium notatum. Working with Ernst Chaim, a refugee scientist, Florey investigated the biochemical properties of various antibacterial substances and selected penicillin as the most promising. Florey’s work turned penicillin into a practical drug that subsequently saved millions of lives. Florey, Chaim and Fleming were awarded the Nobel Prize for developing a substance of ‘immediate value to mankind’. Sir Frank MacFarlane Burnet (1899–1985)—awarded the prize in physiology or medicine in 1960 ‘for discovery of acquired immunological tolerance’. Frank MacFarlane Burnet was born in Traralgon, Victoria, and was educated at Geelong College and the University of Melbourne, qualifying MBBS (Bachelor of Medicine, Bachelor of Science) in 1922 and MD in 1924. Apart from a few years overseas, Burnet spent his entire career from 1923 onwards at the Walter and Eliza Hall Institute of Medical Research in Melbourne. Burnet was twice nominated for the Nobel Prize for virology before he won it for immunology. He first speculated on antibody production in 1941, suggesting that animals became immunologically tolerant to antigens to which they were exposed in embryonic life, thus ‘learning’ in the womb to distinguish between foreign agents which had to be attacked, and self-substance which had to be left alone. English scientist Peter Medawar confirmed this experimentally and he and Burnet were jointly awarded the Nobel Prize. Sir John Carew Eccles (1903–97)—awarded the prize in physiology or medicine in 1963 ‘for discoveries concerning the ionic mechanisms involved in excitation and inhibition in the peripheral and central portions of the nerve cell membrane’. John Eccles was born in Melbourne and was educated at Warrnambool and Melbourne high schools and the University of Melbourne. In 1925, he graduated brilliantly and won a Rhodes scholarship to Magdalen College, Oxford, where he worked in the laboratory of renowned English neuroscientist Charles Sherrington. Eccles had a life-long interest in the relationship between the mind and the brain. Before World War II, researchers had debated whether transmission at the junctions (synapses) between nerve cells in the central and peripheral nervous systems was chemical or electrical. Eccles conducted pioneering experiments which convinced him that synaptic transmission was chemically mediated. In 1952, he was appointed foundation Chair of Physiology at the John Curtin School of Medical Research in Canberra, where, with other colleagues, he concentrated on the biophysical aspects of synaptic transmission—work that culminated in his being jointly awarded the Nobel Prize. Patrick White (1912–90)—awarded the prize in literature in 1973 ‘for an epic and psychological narrative art which has introduced a new continent into literature’. Patrick White was born in London to Australian parents, both of whom came from wealthy farming families in the Hunter Valley, north of Sydney. White was educated at Moss Vale in New South Wales and in Britain, where he read literature at King’s College, Cambridge. He served as an intelligence officer in the Middle East and Africa during the war, returning to Australia at the end of the conflict. For much of his life, White was psychologically divided between Australia, Europe and England. White’s early novels, including The Tree of Man (1955), Voss (1957) and Riders in the Chariot (1961), were critically acclaimed in Britain and the United States and quickly translated into other languages. In the early 1960s, he oversaw the debuts of a number of his plays, including The Ham Funeral (1961), The Season at Sarsparilla (1962), A Cheery Soul (1963) and A Night on Bald Mountain (1964). Later works included The Solid Mandala (1966), The Vivisector (1970), The Eye of the Storm (1973) and A Fringe of Leaves (1976). Sir John Warcup Cornforth (1917–)—awarded the prize in chemistry in 1975 ‘for his work on the stereochemistry of enzyme-catalysed reactions’. John Cornforth was born in Sydney and educated at Sydney Boys’ High School and the University of Sydney. He chose chemistry as his career and, although deaf from otosclerosis by the time he entered university at the age of 16, Cornforth graduated with first-class honours and the University Medal in 1937. Cornforth took up a scholarship to work with Robert Robinson at Oxford, where he completed a doctorate on steroid synthesis. He later worked with Robinson on a successful chemical synthesis of cholesterol before turning to the work for which he was awarded the Nobel Prize—the biosynthesis of cholesterol from acetic acid. Professor Peter Doherty (1940–)—awarded the prize in physiology or medicine in 1996 ‘for discoveries concerning the specificity of the cell mediated immune defence’. Peter Doherty was born in Brisbane, Queensland, and studied at Indooroopilly High School and the University of Queensland, where he did veterinary science. He gained a master’s degree in 1966 for research on leptospiriosis in cattle. He earned his PhD from the University of Edinburgh in 1970. Doherty received the Nobel Prize with a Swiss colleague, Rolf Zinkernagel (see below), with whom he worked at the John Curtin School of Medical Research at the Australian National University from 1972 to 1975. Doherty carried out the immunopathology experiments while Zinkernagel, a PhD student at the time, undertook the in vitro work. Doherty and Zinkernagel discovered how killer T-cells, one of the building blocks of the immune system, recognise and destroy viruses. This led to a better understanding of auto-immune diseases such as multiple sclerosis and to treatments that increase the acceptance rate for organ transplants. Professor Barry Marshall and Dr Robin Warren—jointly awarded the prize in physiology or medicine in 2005 ‘for the discovery of the bacterium Helicobacter pylori and its role in gastritis and peptic ulcer disease’. Robin Warren (1937–) was born in Adelaide, South Australia. He was educated at the Collegiate School of St Peter in Adelaide and studied medicine at the University of Adelaide. After working at the Royal Adelaide and Royal Melbourne Hospitals, he took up a pathology position at the Royal Perth Hospital in Western Australia in 1968. Professor Barry Marshall (1951–) was born in Kalgoorlie in Western Australia and was educated at Newman College and the University of Western Australia. He graduated MBBS (Bachelor of Medicine, Bachelor of Science) in 1975. In 1981 he transferred to the Royal Perth Hospital’s gastroenterology division, where he met Robin Warren. Together, Warren and Marshall discovered Helicobacter pylori in 1982. They concluded that this bacterium—not stress—causes more than 90 per cent of duodenal ulcers and up to 80 per cent of peptic ulcers. Their work revolutionised the treatment of gastro-duodenal ulcers by enabling an antibiotic cure and has led to a significant reduction in the prevalence of gastric cancer. Elizabeth Blackburn (1948-) shared the Nobel Prize in Physiology or Medicine in 2009, with American scientists Carol W. Greider and Jack W. Szostak. The prize was awarded for the discovery of how chromosomes are protected by telomeres and the enzyme telomerase. The research showed that telomere sequences at the end of chromosomes protect the chromosomes from damage and maintain the integrity of the genome. The discovery has transformed our understanding of how cells age and die, and has opened up research in a new field of molecular biology. Brian Schmidt (1967-) was born in the United States and came to Australia in 1995 to study at Mount Stromlo Observatory (Canberra) in 1995. Along with two American researchers, Saul Perlmutter and Adam Riess won the prize for their discovery that the expansion of the universe is accelerating. The acceptance of the accelerating universe theory has initiated new research to understand the nature of the universe, such as the existence of dark energy. Brian Schmidt is currently leading the SkyMapper telescope project and the associated Southern Sky Survey. Aleksandr Prokhorov (1916–2002), who was born in Australia, was awarded the prize for physics in 1964. Prokhorov was born in Atherton, Queensland, after his parents were forced to leave Russia. The family returned to their homeland after the October Revolution, when Prokhorov was seven. Bernard Katz (1911–2003), an Australian citizen, jointly won the prize for physiology or medicine in 1970. Katz, who was born in Germany, studied in London and went to Sydney in 1939 to work as a research fellow in John Eccles’ Sydney Hospital laboratory. In 1941 he took up Australian citizenship and joined the Royal Australian Air Force. However, his skills were sought by the laboratories of the Royal Society and he was repatriated to England, where he remained for the rest of his life. Sir Robert Robinson (1886–1975) was awarded the prize for chemistry in 1947. Robinson, who was born in Derbyshire in Britain, was appointed the first Professor of Pure and Applied Organic Chemistry at the University of Sydney in 1912, at the age of 26. He remained there for three years before returning to Britain. John Harsanyi (1920–2000) was jointly awarded the Bank of Sweden Prize in Economic Sciences in memory of Alfred Nobel in 1994. Harsanyi, who was born in Budapest, fled Stalinist Hungary for Australia in 1950. He gained a master’s degree in economics at the University of Sydney and then worked at the University of Queensland and the Australian National University. He left Australia in 1956 for the United States. Rolf Zinkernagel (1944–) was awarded the prize for physiology or medicine in 1996 jointly with Australian colleague Peter Doherty. Zinkernagel, who was born in Switzerland, took up a research position in 1973 at the John Curtin School of Medical Research at the Australian National University. In July 1975, he moved to the United States and four years later returned to Switzerland. José Ramos-Horta (1949–), elected president of East Timor in 2007, was awarded the prize for peace in 1996. Ramos-Horta was born in Dili and studied there and in a number of other countries. From 1975 to 1999 he lived in Sydney and Lisbon. He founded and was a lecturer in the Diplomacy Training Program at the University of New South Wales. Max Born (1882–1970) was jointly awarded the prize for physics in 1954. He was born and educated in Germany and migrated to Britain in 1933. One of his grandchildren, Olivia Newton-John, is one of Australia’s best-known expatriate entertainers. John Maxwell Coetzee (1940–) was awarded the prize for literature in 2003. He was born in Cape Town, South Africa. A two-time Booker Prize winner, he migrated to Australia in 2002. Another four Nobel laureates have strong links to Australia. Chances of getting job is much Higher. Students can file for PR in Manitoba’s own PNP program – Just by working 6 months full time After study as against 1 year in rest of Canada. Important Note : We would like to share courses available at Red River College & some information about same. Studying in Winnipeg, Manitoba, Canada – is a Golden opportunity, because chances of getting job is much Higher & student can also file for PR in Manitoba’s own PNP program – Just by working 6 months full time After study. Ø Manitoba’s Largest Institute of applied Learning. Ø Very Good Environmental Health & Safety Services. Ø Health care free in Manitoba with a 6 month or longer study permit. Ø More than 110 Full time Programs and Eight Campuses in Manitoba. Ø State-of-the art equipment & Facilities. Ø Instructors with Industrial Expertise. Ø Work eligibility to work on or off-campus while studying in Manitoba. Ø Low cost of living – one of the lowest in Canada. Ø Manitoba has one of the lowest tuition's fees in Canada. Over the last 40 years, Canada’s economy has been driven by labor market growth. However, demographic projections confirm that Canada can no longer rely on rapid population growth to fuel our economy. In the next two decades, the number of Canadians over the age of 65 will double. More than 6 million baby boomers will retire and this older population will create greater demand for legal, health and social services throughout Canada economy. Post Graduate Diploma in Business Management @ Northern Lights College, B.C. Admissions open for May & September 2013 intakes! Hurry Limited seats available for May Intake. 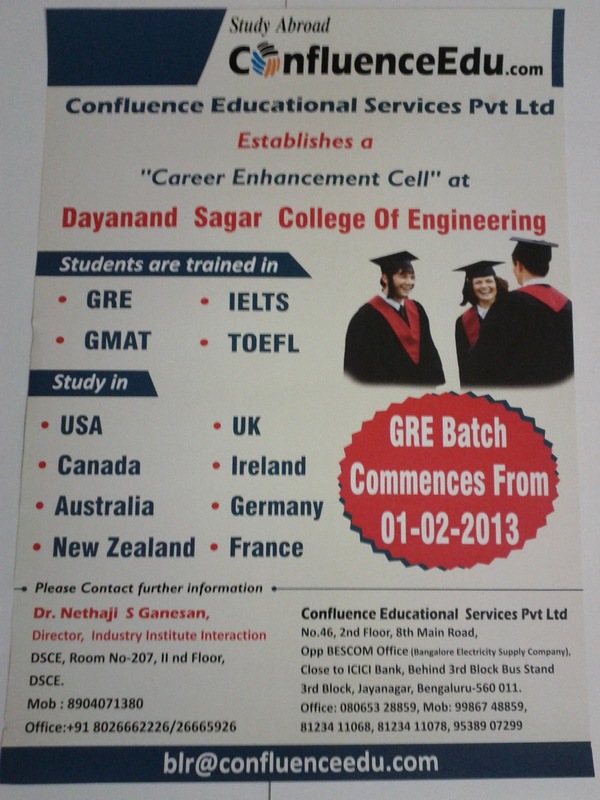 Admission close 15th March'2013. The University of Findlay is pleased to announce the following new scholarships available for international students beginning Fall 2013. As you are one of our exceptional partners abroad, we wanted you to be one of the first ones to hear the good news. We also accept three year degrees from India for graduate admission consideration. Universities tend to have a rolling admissions process for international students, although some programs have specific deadlines like medicine or visual arts, so be sure to check with your institution. ■ In October for a February (first term) start date. ■ In March for a July (second term) start date. 'The increase in non-EEA student applications is further proof that the UK remains open to the brightest and the best and international students. Successfully been helping international students achieve their educational goals since 1989. We offer variety of courses such as Undergraduate courses and Post Graduate courses. i. MBA – Management of Information System – 14 to 16 weeks– Overall IELTS Requirement of 6.0 Bands not less than 5.5 Bands- 4 year Bachelors’ degree from an accredited university ( Pattern accepted 10+2+4) Like all Engineers, M.A, M.Com, MBA &Phd Students.